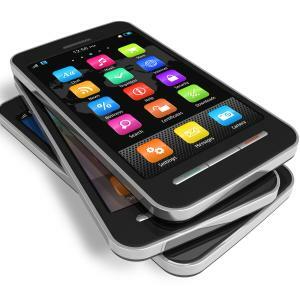 Global Smartphone market to grow at a CAGR of 8.1 percent over the period 2014-2019. Over the past few years, smartphones have become a product of the masses rather than the product of the elite class because their increasing affordability, which has contributed to the steady growth of the global market. “The APAC region has emerged as a driving force behind the increase in smartphone sales, as the price of smartphones in the region have declined significantly, and are expected to fall even further by 2019,”. According to the latest report, smartphones have also undergone radical changes in aesthetics as well as functions, in recent years. The market is witnessing a trend towards larger screen sizes, with many top smartphones sporting screens ranging from five to seven inches. A smartphone is a mobile device with more advanced functionalities and features compared to cellphones. A smartphone’s hardware and software specifications are meant to perform functions such as web browsing, capturing high-quality images, and playing HD videos. 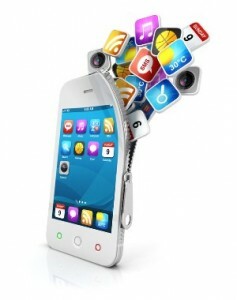 A smartphone can install various applications that can perform several advanced functions. Smartphones have become popular because of their many capabilities and are often used for communication and online activities. Advances in technology have led to smartphones being more compact and cheaper than other mobile devices such as tablets, phablets and PDAs. Our analyst researched the following companies as the key players in the Global Smartphone Market: Apple Inc., Huawei Technologies Co. Ltd., Lenovo Group Ltd., LG Electronics Inc. and Samsung Electronics Co. Ltd.
Other Prominent Vendors in the market are: ASUS, Coolpad, Gionee, HTC, Micromax, OnePlus, Sony, TCL Communication Technology, Xiaomi and ZTE. According to the report, one of the major drivers of the market is the declining average selling price of smartphones. Smartphone prices have been constantly reducing in the market, which is making them more affordable, and is expected to lead to their increased adoption during the forecast period of 2014-2019. Further, the report states that one of the key challenges in the market is the high production cost. The intense competition in the market forces smartphone vendors to make large investments that eventually affect profitability. Marketing and R&D are the two major spending areas leading to the high cost of production.